Bremerton Wines & Bremerton Vineyards are part of the Willson family owned company, Bremerton Vintners Pty Ltd, in the geographical region of Langhorne Creek in South Australia. Langhorne Creek is unique in that it sits on the rich soil of the Bremer River flood plain and is known as a cool climate region, relatively disease free and a producer of exceptionally high and consistent quality fruit. Fresh cool evening breezes from Lake Alexandrina provide a microclimate of mild to warm summer days and cool evenings, perfect for the long ripening of the grapes producing intense and sought after cool climate flavours. The area was first settled in the 1850’s when Frank Potts, an English shipwright, took up a track of land and planted grapes. The district grew to 450 hectares of vineyard until 1990 when expansion began, taking it to approx. 6000 ha – the second largest grape growing region in South Australia. When we purchased the 40 ha “Bremerton Lodge” property in 1985, it was an irrigated Lucerne (Alf-alfa) farm. Bremerton Wines evolved in 1988 when our first wine, 57 dozen of a Cabernet Sauvignon, was made with grapes purchased from a neighbour. We continued experimenting with small batches of fruit over the next five years, launching a Shiraz in 1991. After three years of trial winemaking, a farm production analysis was undertaken and two blocks were identified as suitable for growing grapes and offering a better return per hectare. The first grapes were planted in 1991 – 2 hectares of Cabernet Sauvignon & 1.5 ha of Shiraz, followed by 2 hectares of Cabernet and 2 ha of Shiraz in 1992. A major flood occurred on 18th December 1992 drowning out the lucerne and causing major damage to the farm and buildings. This necessitated a review of the future and so it was here that the decision was made to pursue the wine grape industry, as the property was in such a renowned wine area. A structured plan was undertaken to turn the lucerne farm into vineyards and to slowly expand into wine production. In 1992, 1993 & 1994 an additional 40 hectares of vines were planted consisting of Cabernet Sauvignon, Shiraz, Malbec, Merlot, Verdelho, Chardonnay and Sauvignon Blanc. In 1993 the decision to become commercial winemakers was made, with the cellar door opening in 1994 and the launching of two white wines and a third red - a blend of Cabernet/Shiraz/Merlot. Today the range can vary up to 18 wines, a third of which are exclusive to the Cellar Door and Bremerton Wine Society. Now with 120 ha of high quality vineyards and a modern winery, our wine production has increased from 680 dozen in 1993 to 23,000 dozen in 2005 and now fluctuates between 34-40,000 dozen. Sales cover all major states of Australia with exports to the UK, Hong Kong, Canada, Switzerland, Germany, Singapore, Brazil, the Netherlands, China, Philippines and Dubai. Winemaker Rebecca Willson and Marketing Manager, Lucy Willson have focussed the family’s wine range on high quality and individualistic wines. They have given Bremerton a strong foothold in the highly competitive wine market with Rebecca’s first label at age 25 – the 1997 Cabernet Sauvignon winning a trophy and rated third best Cabernet in Australia by Winestate magazine. 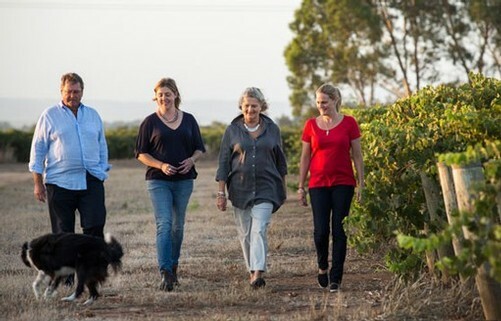 Since then the Willson Sisters have taken Bremerton to become one of the best-known brands from South Australia’s Langhorne Creek wine region. 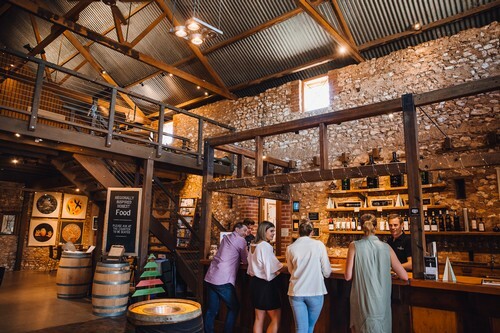 For the past 11 years Bremerton Wines has been awarded the James Halliday 5 star rated winery which ranks us in the top 5% of all Australian Wineries.